Drinking a beetroot juice supplement before working out makes the brain of an older adult perform more efficiently, mirroring the operations of a younger brain, according to a new study by scientists at Wake Forest University. While continued work in this area is needed to replicate and extend these findings, they do suggest that what we eat as we age could be critically important to the maintenance of our brain health and functional independence. Rejeski is Thurman D. Kitchin Professor and Director of the Behavioral Medicine Laboratory in the Department of Health & Exercise Science. 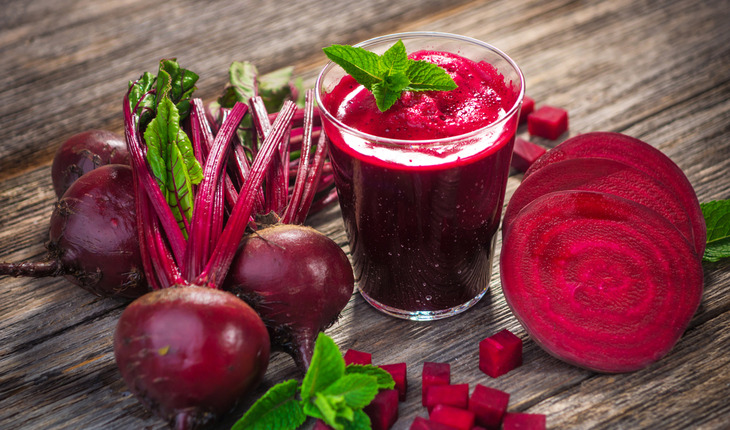 The study, “Beet Root Juice: An Ergogenic Aid for Exercise and the Aging Brain,” was published in the peer-reviewed Journals of Gerontology: Medical Sciences. One of his former undergraduate students, Meredith Petrie, was the lead author on the paper. “Nitric oxide is a really powerful molecule. It goes to the areas of the body which are hypoxic, or needing oxygen, and the brain is a heavy feeder of oxygen in your body,” said Rejeski. When you exercise, the brain’s somatomotor cortex, which processes information from the muscles, sorts out the cues coming in from the body. Exercise should strengthen the somatomotor cortex. So combining beetroot juice with exercise delivers even more oxygen to the brain and creates an excellent environment for strengthening the somatomotor cortex. Post-exercise analysis showed that, although the study groups has similar levels of nitrate and nitrite in the blood before drinking the juice, the beetroot juice group had much higher levels of nitrate and nitrite than the placebo group after exercise.